MJM Smash Repairs was established in 1984. Since then, it has become one of the most prominent smash repair shops in the tuggerah/wyong area. With an eye for detail, our highly experienced technicians repair and paint your vehicle to the highest standard. 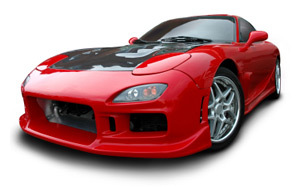 MJM Smash Repairs uses the latest equipment and technology to return your vehicle to it’s former glory. We love cars, and want the experience of getting your car repaired with us to be as smooth and enjoyable as possible. Located at 178 Pacific Hwy Tuggerah, MJM Smash Repairs is perfectly located to provide you with the convenience and service you desire from a licensed vehicle repairer. Repairing for all insurance companies, MJM Smash Repairs is highly experienced when it comes to helping you with the process of repairing your vehicle and can take care of everything from start to finish, we can even offer you a courtesy car if you require it during your vehicle repairs.